It is time for another Hambo Hoedown challenge using the set of flowers digital image. There are a set of three flowers included in this set but I was inspired to create a clean and simple card using just one of the flowers. Hopefully that still qualifies for this challenge. Head over and join in on the challenge here! Such a lovely clean card Dawn, love the button in the centre of the flower. Your card is perfect for the challenge. I love the button center and the colors. Thanks for playing in the Hoedown. 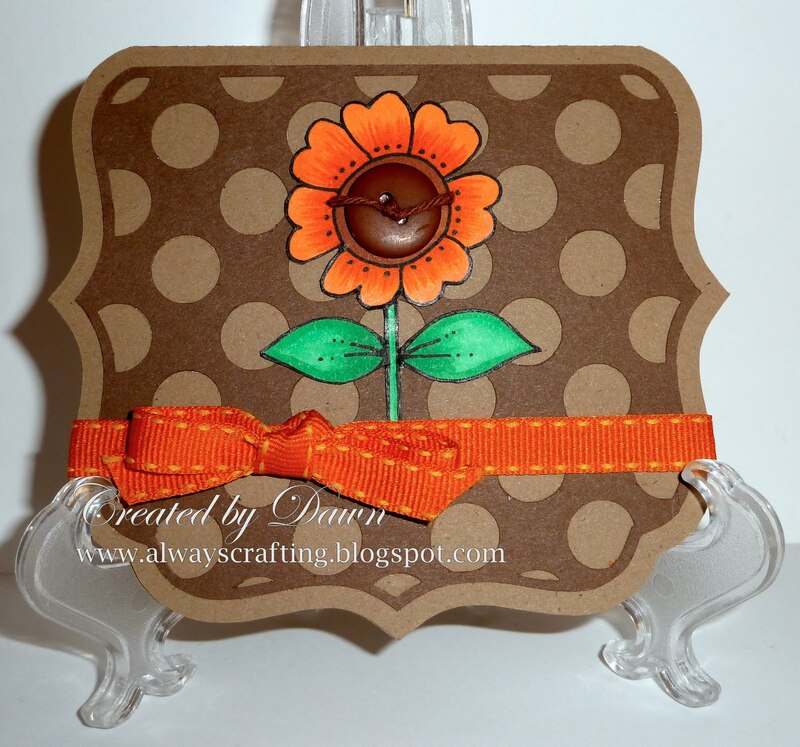 A beautiful CAS card Dawn, love the rich orange colour on your wonderful image against the earthy browns. What a beautiful card! I love how simple yet elegant it looks and love the button center! What a great shaped card! Love your colors. Beautiful coloring on your flower! Thanks for playing at the Hoedown! Pretty card with the single flower and the ribbon. Thanks for sharing your art in the Creative Inspirations Paint challenge.